Fans, collectors, and lovers of beautiful things – here’s your chance to own Brendon Moeller’s new EDLX album ‘Works’, with all of the trimmings. This ultra exclusive Deluxe Album Package not only includes the full CD Digipack, but its teaser EPs – ‘Wanderer’ and ‘Work Ethics’ – in both vinyl and digital formats. We’re also throwing in some special Works goodies, including a key ring, stencil and t-shirt – all of which comes bound in a felt handmade case, made by Dutch embroidery artist Thijs van Buuren. As ever, all digital downloads are available in your choice of format (mp3, wav, flac, aac and apple lossless); and tees in male or female sizes s, m, l, xl. Cost of the Works Deluxe Package includes postage and packaging. Get your orders in quick, as there’s just 50 packs to be claimed. After the experimental ‘Subterranean’ as Echologist, ‘Works’ plants Brendon Moeller squarely in dance floor territory with its cross section of propulsive techno tracks, with ‘Wanderer’ and ‘Work Ethics’ supporting a stellar cast of remixes from some of today’s leading electronic figures. 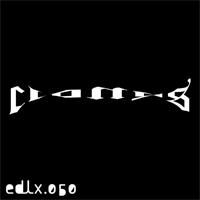 ‘Works’ represents a new chapter in an already steeped and prolific production career that EDLX look forward to continue fostering in the future.